The CannaBioGen collection: more than twenty years of traveling around the world in search of the grail, from the mountains of Jamaica and Colombia in the new world, to Pakistan , India and Thailand. Meticulous selections from more than a hundred varieties of assessments and years descent, have culminated in magnificent examples that bring us the end of the sublime. Most varieties are indigenous traditional cultures around the world, with a unique and different genetics to be preserved. has also been considered the best Dutch genetics and hybrids was created exquisite quality , to bring together the best in the world. As a general rule the following cultivation parameters is recommended: A pH of 6.2 in biological substrates is the most appropriate. In hydroponics the optimum pH is 5.8 and an EC of 1.2 to 1.8 Ms/cm2 . The recommended relative humidity is 50 % to 60 %, and may be slightly higher during the growing season . A constant temperature of 22 º C to 26 º C , is recommended for high production of cannabinoids. In CannaBioGen select the seeds one by one , testing germination batches every three months. Most failures are due to the decay of the embryo by bacteria and vegetarians in the culture media and the excess water fungi. It is to germinate on sterile media and substrates. The seeds should be treated with fungicide, and failing that , use sterile water. The temperature must be between 21 ° C to 24 ° C preferably. Plants are on ripened to a harvest of seeds under the best conditions , destroying the remaining plant matter. 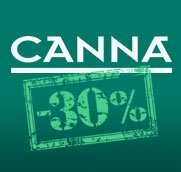 CannaBioGen is the first seed bank to set an expiration date on them. If you have problems with germination, the batch is checked and replaced by others. 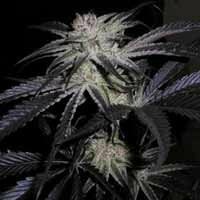 Peyote Purple is a high resin production strain, with great yields and clear indica tones. Peyote Purple comes from a worke done with a purple coloured Bubba Kush. Cannabiogen seedbank presents Panama DC, an interesting hybrid union of two lines (indica and sativa) that translates into an 8 weeks flowering with major indica effect. Panama is a Panamenian sativa, probably the strongest and yieldest sativa from Cannabiogen catalogue. A medium yielder with a flowering time of 11 to 12 weeks. Pakistan Chitral Kush is a pakistan strain, famous by its purple colurs in some of its phenotypes. Short flowering, and abundant resin production. 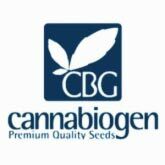 Cannabiogen seedbank presents one of their robust and compact plant. Nepal Jam is a strong and resistant plant, with quick flowering and medium yields. 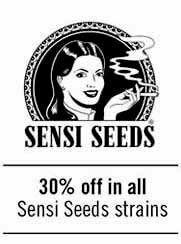 SantYerbasi adds to its list of Cannabiogen strains the Leshaze. Leshaze is a indica/sativa hybrid with short flowering, high yields and stron psycoactivity.